Yamaha says it has created an “irresistible spot for music fans” with their new company history museum. 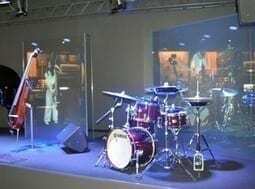 Visitors can expect a Virtual Stage featuring life-size musicians projected onto the stage, a Craftsmanship Walk, and Super Surround Theater for immersive musical experiences. A real treat for the ears.